Guest rooms – our main attraction! In all, we have 36 guest bedrooms of various sizes, with a variety of interior decor. What they all have in common is a high standard, with comfortable furnishings and a pleasant colour scheme. 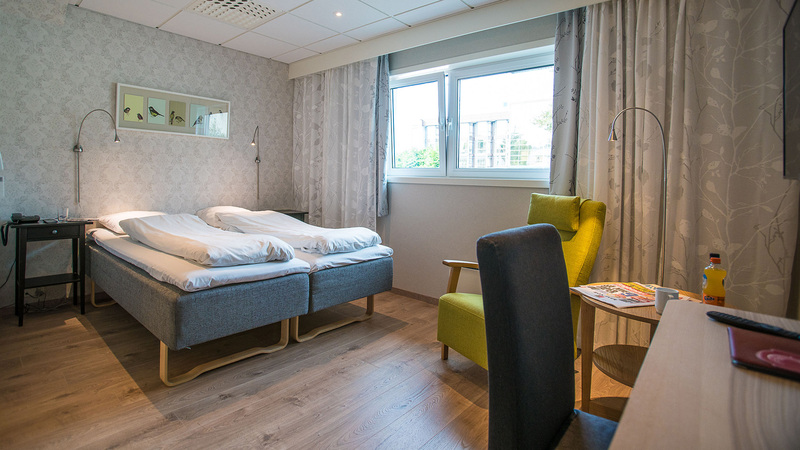 Clean, well-maintained rooms are one of our top priorities – our guests deserve nothing less. 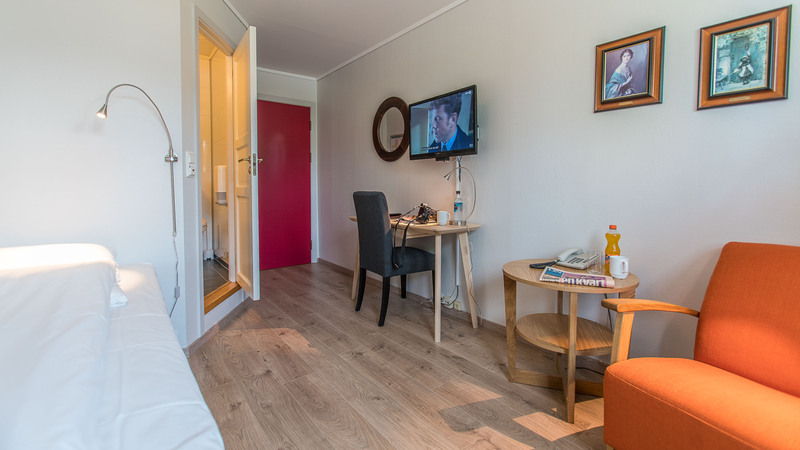 All rooms have multichannel TV and a private bathroom with shower. 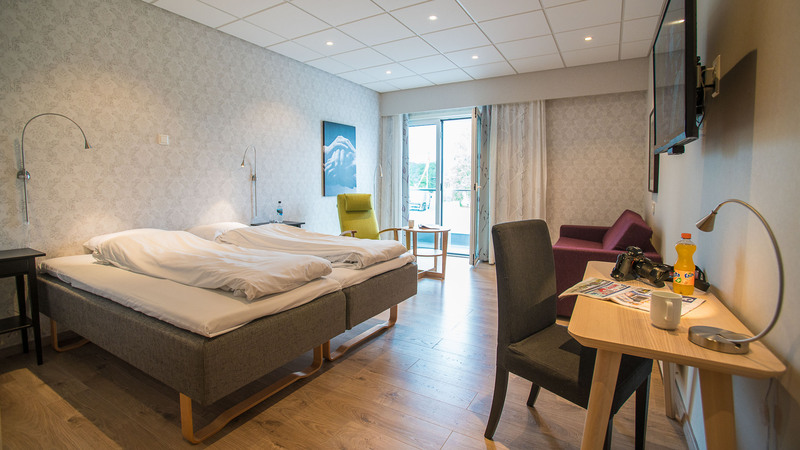 Many of our guests are visiting Stord on business, so we aim to get everyone’s day off to the best possible start. An evening buffet is available at no extra cost. We have several lounges and public rooms where you can relax in the afternoon and evening. Freshly brewed coffee and tea are always available, as are solarium, sauna and billiard facilities. Leirvik has plenty of restaurants and even more cafés, not to mention numerous clubs and bars. There is always something on in Leirvik: cinema, concerts and various events.